If you need to call the police, but you only have a cell phone, it is important to know what number to dial. After all, a call from childhood all the familiar number 02 from the mobile phone will not work (unless you use the services of the mobile operator Tele2). Emergency call) special services (fire protection, police, ambulance, gas emergency service), running number 112. In order to make a call, you only need a cell phone. If you have no money in the account if blocked SIM card if the SIM card does not - you will still be able to call the police. After you dial 112, you will be taken to a voice menu. You will be prompted to press the key corresponding to your choice. To call the police should press 2. After that you will meet the attendant. All operators of cellular communication are the phone numbers for calling emergency services (including police). These rooms are the same throughout the territory of the Russian Federation. In order to call the police, to subscribers of MTS and MegaFon should dial the 020, the subscribers of Beeline - 002, and Tele2 subscribers - just 02. If for some reason you are unable to call at the above numbers, dial the telephone number of service of rescue: 911. Useful in advance, without waiting for an accident to record the phone numbers of all services specified by your network operator. When you save these phone numbers in the address book of your phone, make sure they are first in the list. To do this, use the symbol "_" (underscore) at the beginning of the name, which will assign emergency numbers, including police. To call the police you need to dial the following combination: the subscribers of MTS, U-Tel, MegaFon – 020; Beeline – 002; Tele2, sky link- 02. Or a single number 112, operating on the territory of Russia and in the countries of the EU. The call is free and it is not only the lack of funds in the account, but if there is no SIM card or locked phone. The duty Manager will take your call, specifying all the details, or connect directly with the desired service. In any case, it is necessary to speak briefly and to the point, to provide information about themselves, about the scene and its main parts, clearly describing the situation. In extreme cases, if you are not able to call anywhere, dial the emergency number – 911. And remember, your participation and promptness can not only save someone's life, but perhaps to prevent a negative turn of events. Until recently there was only one way to call an ambulance for medical assistance – dial 03 from any fixed phone or public phone. Now the situation has changed. Service dial the emergency call was available from any mobile, and done for free (under the Law of the Russian Federation). But the problem, as experience shows, lies in the other – not all subscribers of mobile operators know how to call an ambulance from your mobile. Because the GSM standard requires a set of at least three digits to make a call, to call on the usual two-digit numbers impossible. To correct this misunderstanding, the services of an emergency call trying to "literacy" among the population, which in the future will help to save many lives. Each operator has defined its standard to call ambulance: MTC, MegaFon, U-Tel, and Tele2 – 030; Beeline – 003 or 030; Motive, Skye-link – 903. It is not clear why the operators do not make these numbers in the memory of SIM cards along with the numbers of their entertainment portals and services. You should also know about the existence of the unified dispatch center – room 112 – where you can go in any critical situation that threatens the life and health of citizens. 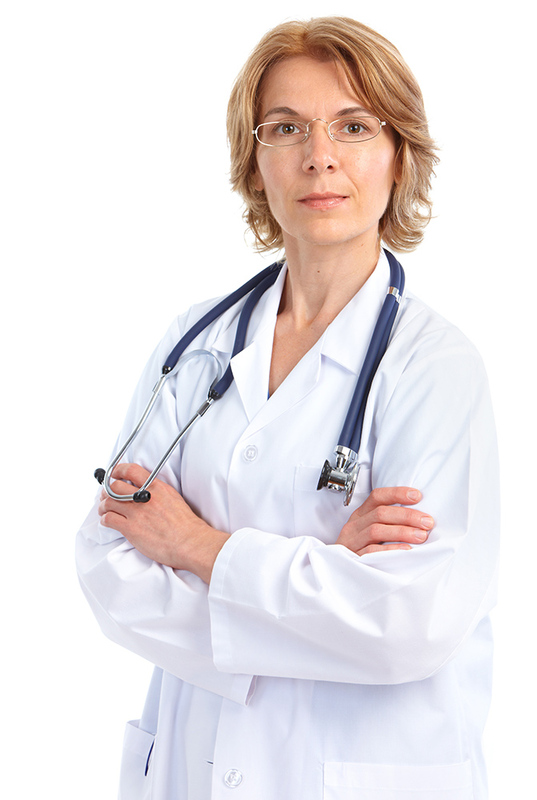 The Manager will listen to you and he will contact the necessary service, including medical. Remember that this number – 112 - is common to call all emergency services in the territory of the European Union. And the European Commission are less concerned about the low awareness among their citizens about the existence of this service. 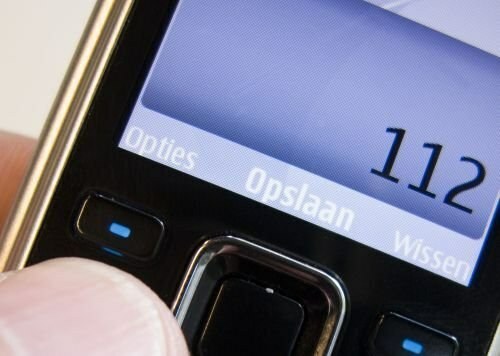 It is important that the call to the number 112 is completely free, and even if there is no money in the account, locked SIM card or not at all. And in service of rescue "911" and you can call from a blocked phone. The first thing you need, first, to provide first aid and immediately call an ambulance! In every city of our country there are free ambulance services. To call an ambulance. 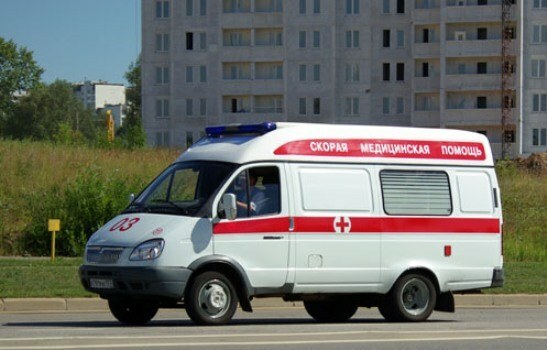 A single phone call free ambulance in Russia - 03. Often cause doctor in a precarious situation when the decision must be taken immediately, because the price of delay can become a human life. Oddly enough, but often time the arrival of the ambulance depends on how correct and complete information to be able to serve the customer. Let's see how to call the ambulance. Modern age with its formed by the industry, developed transport network, and the ever-increasing pollution day by day endangers people. 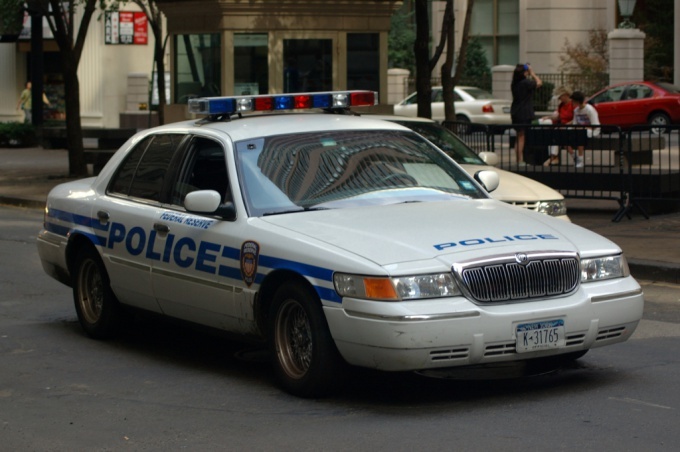 Being on the street, at work or at home there is always a risk to be in trouble. You need to be very careful and with great responsibility to approach their own safety and the safety of others people. How can that be, if the trouble still happened to you or to those around at the moment? First and foremost, you need to call an ambulance assistance and to provide first medical aid to the victim. 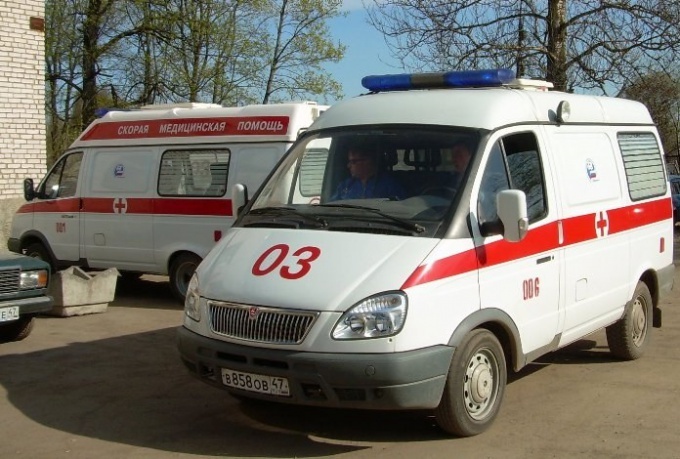 In every city in Russia has a free emergency medical assistance, which can be a single number – 03. Anyone must know this number in case of any trouble to use it. Currently, one of the important issues is to know how to call an ambulance for medical assistance from the mobile phone. This is due to the fact that the mobile phone has now almost everyone. It does not matter, the services of any mobile operator you use, you must know how to provide helpwhen in need. for subscribers of "Motive" – 903. Emergency call from a mobile phone is not charged on the entire territory of the Russian Federation. 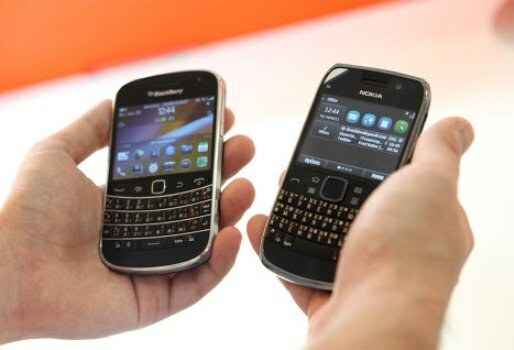 It does not depend on the subscriber of mobile operator you are. This fact is reinforced in the legislation of the Russian Federation for the violation, which provides for liability under the administrative code of the Russian Federation. To provide assistance to the victim, sometimes it is necessary to call "ambulance aid". To the doctors came to the patient faster and were able to provide the necessary assistance, need to report to the dispatcher all the necessary information. Before you callan ambulance, make sure that you know exactly where the victim is. Find out the name of the street and house number (if the person is not in the apartment) - this will save precious time, because you'll be able to explain to the Manager how to get to the patient. Call the ambulance. A single telephone for the whole of Russia - 03. If you are calling from a mobile phone, dial 003 (mobile operator Beeline) or 030 (for operators MTS and MegaFon). You can also call the number 112 is a multi-line phone that you will connect with physicians. Please note: this room works even if the phone is not sufficient, in the absence or blocking of the SIM card. If you need to call the medics and the cops, call the cops (don't forget to report complaints of the victim) - ambulance assistance will cause them. It would be better if answers to questions Manager you will think ahead. They are simple (you'll find out about the patient's age, complaints, call and ask the phone number where you can be contacted if necessary), but untrained person can get confused. Answer clearly to the question, do not allow to speculate and not make assumptions, if you do not have medical education. If people can not step on the foot - you need to answer exactly and not "I guess he has broken, it does not occur on the foot. The more accurate and faster of the submitted information, the sooner it will be rendered assistance to the victim. If you are in a remote area (on the outskirts of the sleeping area or in the Park), try to meet the ambulance. The driver, of course, will do the job, but doctors are much quicker to get to the patient, if they know exactly where to go. Almost everyone knows that to call for an Ambulance from a home landline phone by dialing 03. But when it comes to calling from a mobile phone, many are lost and panic, not knowing how to implement this call. However, there are General rules of this set of numbers each operator of cellular communication. Dial 003 or 030, if you need to call the "Emergency aid" from a mobile phone network "Beeline". Call 030 to call the team "Ambulance aid", if your phone is connected to the network "MTS". Dial the number 030303 if your phone is supported by a network "the Megaphone" and you need to call an Ambulance. Call the emergency rescue service emergency number 112 and follow the instructions of the operator. Make a call to an Ambulance from a mobile phone connected to any operator by dialing according to the following scheme: country code - code of your city-03-111. Answer clearly to the questions of the on duty paramedic to the team of "Emergency assistance" was promptly sent to the patient. After receiving all the necessary information, you are obliged to inform you that your challenge is accepted. Consider the fact that the maximum time allowed by law for the arrival of the service "Emergency assistance" – 20 minutes in cities with a population over 100 thousand people. For other settlements, temporary quotas the arrival of the brigade "03" Ministry of health not been established, but there is a rule that says that medical care should be provided without delay. Repeat call to service "Emergency assistance" one more time, if within half an hour you did not wait for the brigade. Recall the duty paramedic that delay assistance equivalent to its failure and abandonment of person in danger article 124 and 125 of the criminal code. If this warning does not help, call the police. Refer to the above law, which threatens with imprisonment up to 3 years if duty paramedic refuses to send you a brigade of "Emergency assistance" from any consideration. Usually this measure is sobering. Consider in advance how to ensure unhindered access of medical personnel to the patient, if your house has a combination lock or dog. To speed up the process, meet an Ambulance in the yard, so they are not looking for a long time your entrance and apartment. Write down the number of "Emergency" in the notebook of your mobile phone. Even if you think that it is easy to remember in an emergency you can get lost and forget it. 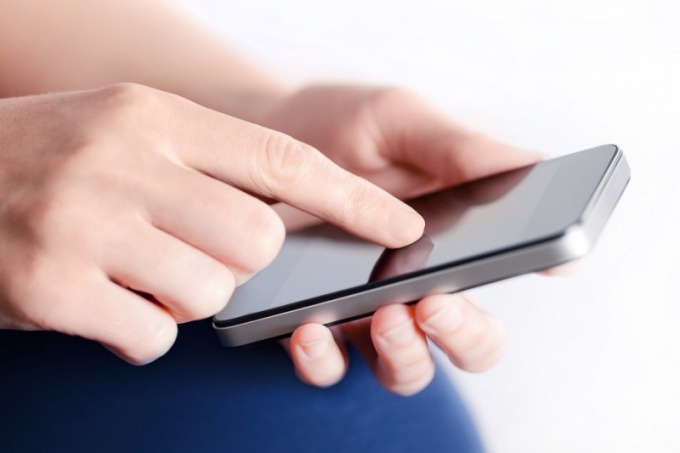 In emergency situations there is often a need for a service call "Emergency" from a mobile phone. If your cellular operator is the company "MegaFon", take into account the existing nuances of the set alarm button. If your model cell phone does not provide a connection to a short roomof AMI, such as 03, in order to cause "Ambulance aid" from a mobile phone connected to the network "MegaFon", type a combination of digits: 030. Press the call key. Clearly and concisely what is the address of the place where you call emergency medical service and the reason for which necessary assistance. Try to speak clearly and persuasively, don't panic and don't razmenivayas to details. Typing the emergency number 112 emergency, you will hear the voice message of the system about the need to work further a set of corresponding numeric keys to call the appropriate services. To call an Ambulance in this case you will need to press the key with the number "3". Remember that the call number "112" is possible even with a blocked sim card, mobile phone, or in its absence. In that case, if within half an hour Ambulance does not come to your call, call the station again, and demand an explanation for such careless actions. If the duty paramedic refuses to accept your challenge, on the basis of any considerations, refer to the article of the criminal code, which prescribe penalties for failure to assist a patient and the abandonment of person in danger. Contact the police by dialing from a mobile telephone 020 and inform them that the station of "Ambulance" refused to accept your call. In this case, the police officer will be required to make the appropriate call to the medical institution and put everything in its place. Do not panic, if your phone bill to zero balance, calls to the emergency services implemented in the network "Megaphone" for free. Residents of any home, as well as users of industrial premises or office, unfortunately, is not immune to the various troubles that are associated with this threat, but all the necessary stuff like gas. Sometimes there are leaks that require the installation or replacement of pipes. In such cases, you need to contact gas service in order to enjoy the arrival of the specialist. Remember, not recorded do you have somewhere phone the gas manwho helped you earlier. Usually gas service workers happy to leave their personal phone numbers so people could contact them directly in case of certain difficulties. If the phone number will be found, type it, draw master problem and agree on the date and time of his visit to you. If in the past you had to call a specialist in gas equipment or the room was lost accidentally dial home or office phone number short 04. You can get through to the Manager of emergency services, which will specify all the necessary information concerning the problem, will instruct on further action, get their address and tell during what time in your home or office wizard appears. Sometimes a landline is not at hand. If you have only a mobile phone that does not support the set of two-digit numbers, check on the website of the operator, how to call the emergency toll free numbers. For example, users of Tele2 to call the gas emergency service, dial 04* or 040. Also can be linked with hazard, calling the seven digit number. For example, in St. Petersburg, it 6100404. While you are waiting for the arrival of the professional, don't just sit there, and provide them unimpeded access to the gas equipment and pipes, so he wasted no time, quickly identify and resolve the problem. 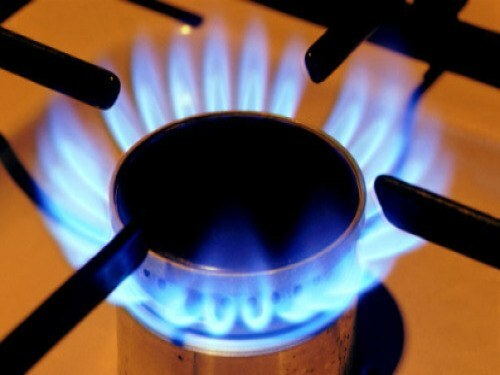 If you suspect a gas leak, do not switch on the light, don't light the stove and do not smoke in the room. Observe the strictest security measures. Never delay a call to the gas emergency service for later, risking their own lives and the lives of your family and neighbours. The sooner you call the gasman, the more likely satisfy your basic need for a high level of security. In your phone, laptop, diary or notebook must be written the number of the gas emergency and/or gasman. If you do not show sufficient anxiety and concern about the problem when communicating with the dispatcher, the wait time for a specialist can be much longer. With the development of new technologies, the emergence of mobile communication available to almost everyone, there were some opportunities that didn't exist before. For example, the ability to call emergency services (including ambulance) with a cell phone. If you are a customer of the cellular network "Beeline", in order to call an ambulance assistance, dial number 003 and press the call key. If you have service providers such as MegaFon, MTS, Utel, TELE2, dial keyboard combination 030. Note that the regional mobile operators sometimes set their own special number to call emergency services. So, for example, the provider "Motive" (Ekaterinburg) offers to call the ambulance room 903. Although often the issue of regional cell phone companies do not differ from Russian: for example, "Tatinkom" (Kazan) 030 uses, like most operators. If you have problems with the dialler on any of the above numbers use the number 112. It is a single dispatch center for the treatment of citizens in any critical situation threatening life and health. The duty Manager will listen to you and contact the right service. Calls to the number 112 can be absolutely free, even if you have no money in the account is locked or the sim card (or none at all). You can also call in service of rescue 911 and tell the operator the nature of your problem. You immediately send an ambulance assistance. Take into account the fact that the ambulance must leave for any call requiring urgent medical attention within 15 to 30 minutes (depends on the distance of the station from your location). If the Manager of the brigade "03" denies you care, you have every right to call the local police Department and demand to understand the situation. In addition, not be amiss to remind the emergency operator on the existing criminal liability for failing to provide human assistance to the needy. In advance written down in the notebook of your mobile phone number on the ambulance, set your cell phone company. In emergency situations where the person requires urgent medical assistance in a timely manner caused by a doctor can save a life. At such moments, at hand may not have a landline phone and call in an ambulance on his mobile will be the best way. If you see that someone people are sick and need urgent medical assistance, do not pass by. Use your mobile phone and call the ambulance squad. Moreover, there call free for all mobile operators in the territory of the Russian Federation. This fact is enshrined in law and failure to do so shall entail administrative liability. Dial on the cell phone 112. This is the same for all mobile operators and emergency number for help. And, following the system prompts, click on the desired button. A call to the pediatrician is the number 3. Then you will be connected with the nearest emergency room. Call the medical service can by other means. If your mobile operator "Beeline" dial number 003 and press the call button. For operators of "MTS", "MegaFon" and "Теlе2" press 030. This call is made at a zero balance on the phone. 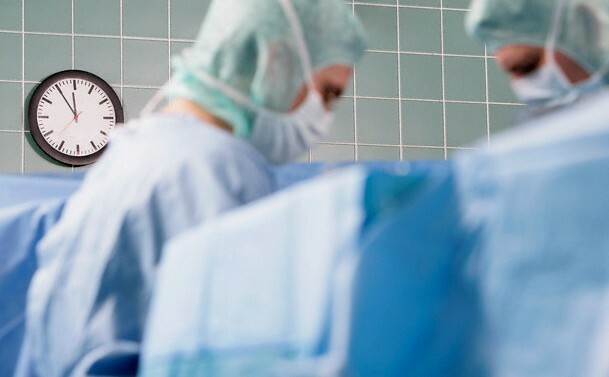 Contact the nurse clearly and answer all his questions about the patient's condition and his whereabouts. This will help doctors more quickly to reach the victim and provide necessary assistance. After that, the paramedic must answer "Challenge accepted" and record the time. Provide first aid quick access to the patient, meet her, open the gate or door, remove Pets. In an emergency, every minute can affect the health of the patient. If the paramedic refuses to accept the call or to quickly send the ambulance because of the advanced age of the victim or his long illness, call the police and inform them of the situation. Indeed, in such a case, refuse to help the health worker falls under article 124 of the Criminal code "failure to assist a patient". Call an ambulance assistance in the event of accidents, natural disasters, accidents, childbirth or interruption to normal pregnancy, as well as in all other cases, endangering the life and health of the person. Children under 1 year you can call an ambulance for any occasion relating to their health. In an emergency situation when a home telephone is not available, it is necessary to call "Ambulance aid with a mobile phone. Make it very easy and in a network "the Megaphone there is a special number to make a call to this service. Usually shortcodes are not supported by common mobile phones, so instead of the usual "03 in a network "the Megaphone you have to dial "030 and press the call key. A call to the emergency services, including "Ambulance will not be charged, according to the law of the Russian Federation. If you can't call the number "030 , or did it happen that your sim card is blocked, call the emergency number, dialing a single number for the territory of Russia 112. Then follow instructions of auto that you are connected with service "Ambulance hit the number "3 . Clearly and informatively bring to the attention of the duty of the expert all the necessary information about your condition or the health of your loved ones. "The ambulance should arrive to you no later than 30 minutes after it is called (depends on where you live). If the doctors for any subjective reasons refuse to come to the call (old age patient, no serious health threats in their opinion, etc. ), call the police and report the fact of misconduct by medical personnel. To make a call from mobile phone dial "020 and explain the situation. Usually call law enforcement sobering careless physicians. In addition, you can talk with the duty paramedic "first aid refer to the possible criminal liability for them under article "failure to provide necessary medical care and "abandonment of person in danger . Save the number "first aid in a notebook of your mobile phone. Just in case you can also take the numbers of the emergency services in the network "Beeline – 003 and "Motive – 903. In networks, "Tele2 and "MTS emergency call is the same as in "the Megaphone – 030. Various private service "Emergency have separate phone numbers to see which in your area you better in advance the need to call the service. Relevant information can be found on the Internet by typing a search query of the following type: "Private ambulance city ... . Be prepared for the fact that such services in the companies are paid. Emergency call from a landline phone doesn't usually cause problems, just dial 03. However, if necessaryto call an ambulance from your mobile account should be taken of the rules set this number from different mobile operators. 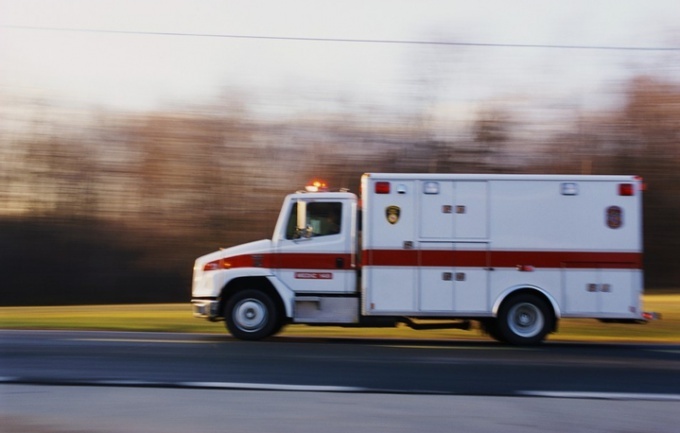 The subscribers of "Beeline" can call an ambulance from your mobile, typing 003 or 030. If the phone is connected to "MTS", please call the number 030. Those who use the services of an operator MegaFon, call the emergency mobile number 030303. Currently there is the option to call if needed in an emergency rescue service, dialing 112 and following the instructions of the operator. You can also call in an ambulance from a mobile, which is connected to any operator. To do this, enter the country code, then the code of your city and a combination of 03-111. While abroad, dial the emergency service short number 911 (available in most countries). Make sure that you informed the ambulance service all the necessary data. Wait until you switch to the on duty paramedic and clearly answer his questions to the ambulance promptly sent to the patient. Hang up only after you are informed that the call is accepted. Remember that there are unspoken rules of emergency assistance. The average time for which the service arrives on call is currently 20 minutes. If within half an hour the brigade had not arrived, it is necessary again to call an ambulance from your mobile and ask the operator whether the machine is sent on a call. If the duty paramedic talks to you rudely and doesn't give a precise answer to the question of whether you help, contact the police and report the abuse to the work of the city ambulance service. In that case, if you failed to call an ambulance from a mobile on these phones, try calling a private assistance service, which is in almost all major cities. Should find out in advance the phone a private ambulance in the directory. The service can arrive faster, but remember that her services are paid. Ensure unhindered access of medical personnel to the patient, especially if your house has a coded lock, watch or dog. Preferably someone to meet the ambulance in the yard, otherwise, if the paramedics can't get into the house, the car to leave and your call will not be processed. Write down all of the available emergency numbers in the telephone directory of your mobile. In an emergency you can get lost and forget them. Being in a constant hectic pace of modern life, people do not think about the fact that at any moment he, or a nearby colleague, or a passerby, you may need urgent medical attention. And only in such moments the question arises how to call an ambulance from a mobile phone, which is always at hand. 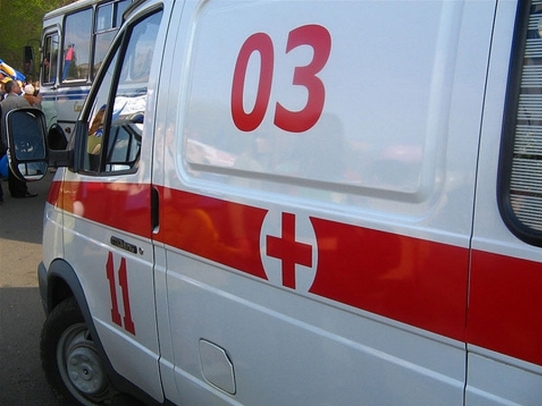 In an emergency, whether an acute illness or accident, urgent medical aid, and recently, typing the usual "03" from the city number be able to call "ambulance". But today mobile phones have virtually everyone, even the child, and it is possible at any time to call an ambulance, which is enough to know the numbers call a specific operator. Also since the beginning of 2014 is the introduction of a new telephone system to emergency rooms, which will be common for all mobile operators in Russia. So, with any mobile operator package in an ambulance can call a single number "103" and the call is free. In some cases, when the SIM card is blocked, absent, or on account of no money, you can call an ambulance from your mobile, dialing the emergency number "112". Also, you can use this number to call emergency services, gas emergency service and the police. Outgoing call on emergency number "112" is free for customers of all mobile operators. Quite often a rapid response to the situation and timely emergency" to save human life and to prevent fatal mistakes, you need to have a log of contacts, emergency numbers, and also periodically to see whether they have changed.